9 out of my 10 friends named Vegemite as one of the most quintessentially Australian foods. Vegemite is a yeast extract, vegetable, and spice additive spread. 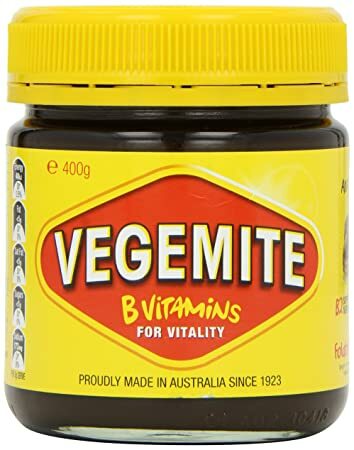 Many of my friends have Vegemite with butter on toast everyday. The spread can look kind of repulsive at first since it’s dark brown in color and looks kind of goopy. A lot of people have healthy spoonful of Vegemite when they try it for the first time and wind up not wanting to have it again. Vegemite has a very strong taste and is very salty and is not meant to be eaten by the spoonful. I believe one of the most common ways to have Vegemite is to eat spread it sparingly on some butter toast. Personally, I did not mind the taste of Vegemite, but I also was not in love with it. Fairy bread is triangular white bread covered with butter and sprinkles, or what Australians like to call “hundreds and thousands.” Fairy bread is a very popular treat. Many of my friends say it “reminds them of their childhood.” After talking with some friends, most of them shared the sentiment that fairy bread is very inextricably tied to childhood birthday parties or special events. Many recalled how their mothers would bring out platters of fairy bread at their birthday parties growing up. Most of them haven’t had fairy bread in years. Apparently the trick to making the best fairy bread is to buy the absolute cheapest white bread and butter—the cheaper, the better. I made some fairy bread for some of the other foreign exchange and international students to try. Mostly all of them did not think there was anything special about the bread. They neither said it was neither good or bad, and they said they would probably not have it again. But when I asked my Australian friends, they all agreed they loved the bread because it reminded them so much about their childhood—even if the actual fairy bread itself was not necessarily tasty. 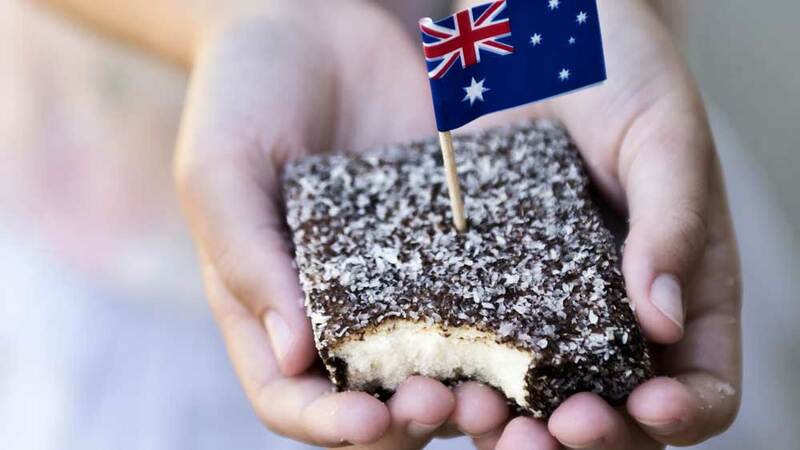 Lamingtons are small squares of sponge cake that are dipped in chocolate and coated in desiccated coconut. Sometimes they are filled with raspberry jam or cream in the center. The origin of these square delicacies can be traced back to Brisbane, Australia. Although widely debated, the cake has been said to be the creation of the chef of the governor of Queensland, Lord Lamington. Apparently, Lord Lamington’s French chef, Armand Galland, prepared the cake for a meal for unexpected dinner guests. So, under a limited supply of ingredients, Galland cut up some sponge cake, dipped the pieces in chocolate, and finished it off with desiccated coconut, and the Lamington was born. Tim Tams are like the Oreos of Australia. 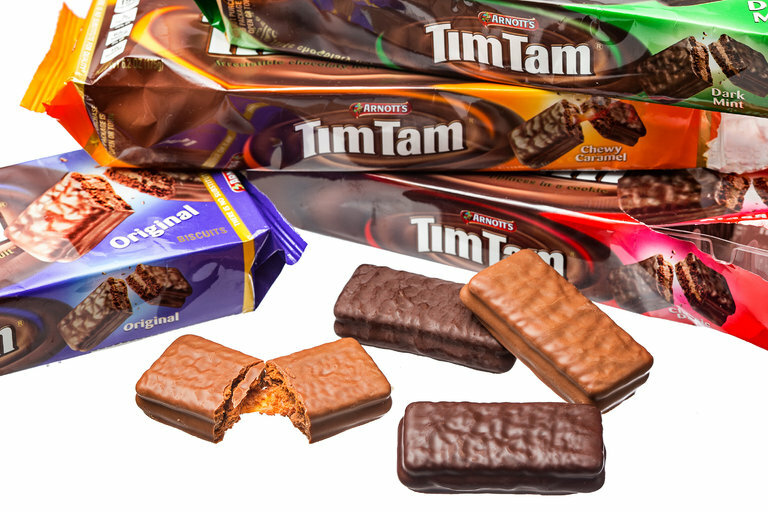 Tim Tams are comprised of two chocolate biscuits with a cream center that are covered in chocolate. The biscuit was named after the winning horse of the 1958 Kentucky Derby. A popular method of having a Tim Tam is called the “Tim Tam Slam.” The Tim Tam Slam Is when you bite opposite corners off of a Tim Tam, drink a warm beverage through the biscuit, and then “slam” the two biscuits together so the warmed chocolate oozes out of both ends. Apparently, these cookies are now available in the US at select big box stores. 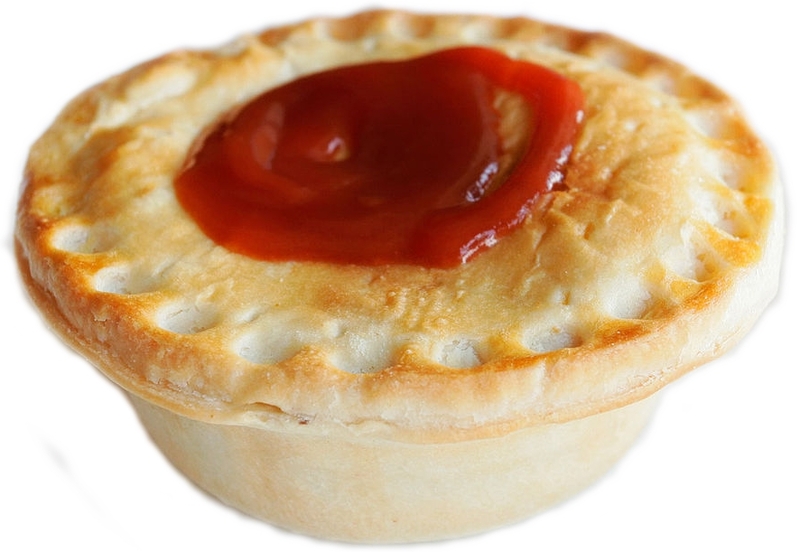 Meat pies are an iconic dish in Australia and New Zealand. Take a walk in the central business district in Melbourne, and you will be sure to walk past multiple meat pie vendors. They are about the size of a hand and are often consumed as an on the go snack.